President Barack Obama will attend a fundraiser for the Democratic Congressional Campaign Committee next month at the home of Miami Heat and Georgetown legend Alonzo Mourning. The March 20th fundraiser will also feature House Minority Leader Nancy Pelosi (D-CA) and DCCC Chairmen Rep. Steve Israel (D-NY). The fundraiser is among the first Obama will hold ahead of the 2014 midterm elections. Obama will also raise money for Senate Democrats and the Democratic National Committee. A former Miami Heat player, Mourning is helping to promote new health care exchanges under Obama’s health care law. 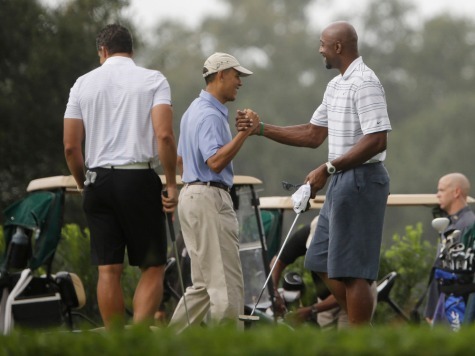 He and Obama golfed together when Obama was in Florida in November.